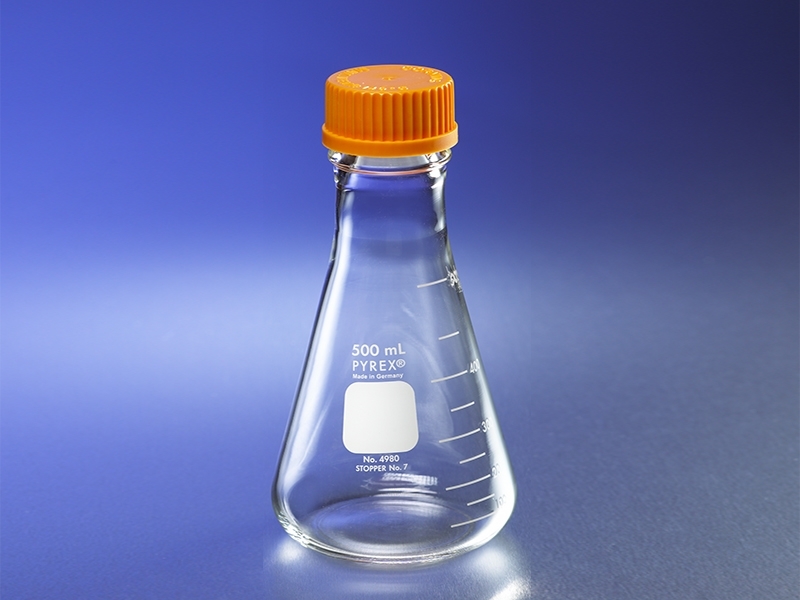 PYREX® Wide Mouth Erlenmeyer Flasks with Screw Cap feature a convenient single size orange threaded plug-seal cap. Wide, 29mm neck opening makes it easy to use larger volume serological pipets. Can be used as an Erlenmeyer shake flask; an ideal product for all media prep and storage needs. Can be used as vented culture flask when optional membrane cap is used.